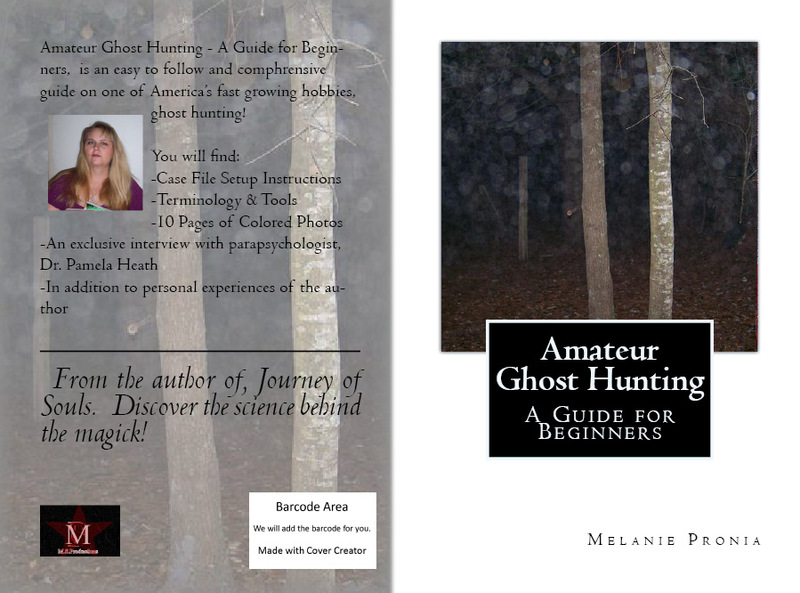 Melanie’s first non-fiction book, Amateur Ghost Hunting – A Guide for Beginners is now available for purchase. ����������� Feed an Indie Author and purchase from CreateSpace where I make my highest amount of royalties! *CreateSpace is Amazon�s sister company. Ten pages of color photos! An exclusive interview with Parapsychologist, Dr. Pamela Heath! Copyright © 2012 Melanie S. Pronia - All Rights Reserved.